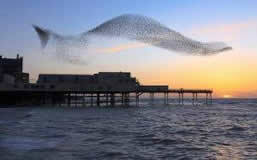 Starlings is a club for people in the Aberystwyth area who have been through the GP referral exercise programme. The club organises activities and events to support people after the main 16 week programme of the scheme to maintain their activity levels. The Club also organises regular social events. A club which provides a variety of physical activities for disabled children and young people to enjoy! A multi sports club for Disabled Children and Young people to come along to make friends, and keep active.